Attorney Donna MacKenzie is a 2017 Leader in the Law! Attorney Donna MacKenzie has been selected as a Leader in the Law for 2017 by Michigan Lawyers Weekley. 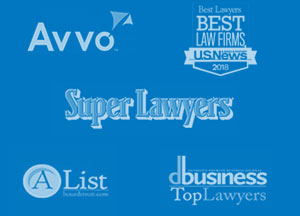 MacKenzie is the second attorney in our firm to be named to this list. In fact, in 2015, partner Jules Olsman was recognized as a Leader in the Law as well. This year, there are 30 named lawyers to the list. Leaders in the Law are honored, among other things, for: significant accomplishments or achievements in law practice, outstanding contributions to the practice of law in Michigan, leadership in improving the justice system in Michigan, and seeking improvements to the legal community and their communities at large as well as, setting an example for other lawyers. It goes without saying that this award is a great accomplishment, and we applaud Donna on her nomination. There will be a luncheon featuring the 2017 class of Leaders in the Law held on Thursday, March 23, 2017, at the Detroit Marriott Troy to celebrate and honor the class in company to the announcement of the 2017 Lawyer of the year award. Additionally, the class will be profiled in a special section of Michigan Lawyers Weekly magazine in March.